SD alcohol 40 is a type of denatured alcohol used in cosmetics and personal care products as an anti-foaming agent, astringent, antimicrobial agent, and a solvent. SD alcohol, or “specially denatured” alcohol, is ethanol that contains a denaturant to make it taste unpleasant. This is done because ethanol is the same alcohol found in alcoholic beverages such as liquor, wine, beer, etc., and in the United States, alcoholic beverages are heavily taxed. According to Cosmetics Info, in order to avoid paying beverage taxes on alcohol that is not meant to be consumed (i.e. for use in cosmetic and personal care products), the alcohol must be denatured per specific formulations given by the U.S. Government’s Alcohol and Tobacco Tax and Trade Bureau (TTB). The process adds a small amount of a denaturant to the alcohol to make it taste bad, thus creating alcohol that is not suitable for drinking, but is otherwise similar for other purposes. SD alcohol that is followed by a number on the ingredient list (i.e. SD alcohol 40) is the designation given by the U.S. Bureau of Alcohol, Tobacco, and Firearms to the denaturing method used. Due to the diversity of industrial uses for denatured alcohol, hundreds of additives and denaturing methods have been used. 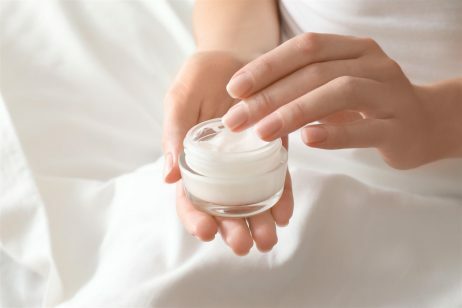 Common denaturants in cosmetics and personal care products include denatonium benzoate, t-butyl alcohol, diethyl phthalate, and methyl alcohol. The process of denaturing alcohol does not chemically alter the ethanol molecule. In addition to SD alcohol 40, the specially denatured alcohols acceptable for use in cosmetics are SD Alcohol 23-A and SD Alcohol 40-B. In cosmetics and personal care products, SD alcohol 40 has multiple functions, including as an anti-foaming agent, astringent, antimicrobial agent, and a solvent. As an astringent, SD alcohol 40 causes biological tissue to contract or draw together. After topical application, astringents work on proteins called keratins, which function to hold skin cells together to form a barrier. The bonds between keratins are affected by temperature and pH, forming only when skin is slightly acidic or cool. If the bonds break, the keratin molecules will separate, causing the outer layer of skin to swell. Astringents cool the skin and cause the bonds to reform. It is this process that produces the temporary toning effect associated with astringents. SD alcohol 40 can often be found in soaps and hand sanitizers labeled as “antimicrobial” because it has strong bactericidal and fungicidal activity. The antimicrobial effects of alcohols are based on protein denaturation. Lastly, SD alcohol 40 functions as a solvent to help other ingredients dissolve into a solution. This property of SD alcohol 40 also thins out formulations by compacting or shrinking the volume of the solution. Thinner formulations can help skin care products perform better since active ingredients have less volume to traverse to get to your skin. The Cosmetic Ingredient Review (CIR) Expert Panel concluded that safety of ingredients containing denatured alcohol, such as SD alcohol 40, should be based on the safety of the denaturants used since dermal application or inhalation of cosmetic products containing these ingredients will not produce significant systemic exposure to ethanol. The Panel considered that the adverse effects known to be associated with alcohol ingestion do not suggest a concern for SD Alcohols because of the presence of the denaturants. The safety of the alcohol denaturants Denatonium Benzoate, t-Butyl Alcohol, Diethyl Phthalate, and Methyl Alcohol were reviewed by the CIR Expert Panel in 2008 and found to be safe as used. 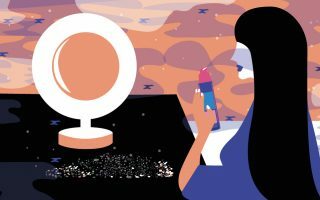 Despite the approval of SD alcohol 40 by the CIR Expert Panel, the safety of this ingredient in cosmetics and personal care products is controversial. When high concentrations of denatured alcohol are used in the formulation of skin care products, this ingredient can cause drying and irritation. Denatured alcohol can also cause erosion of the skin’s surface layer, leading to a weakened skin barrier. However, if lower concentrations of denatured alcohol are used, this ingredient may function solely as a degreasing agent, creating a better texture of the skin care formulation. Ultimately, the safety of SD alcohol 40 in cosmetics and personal care products depends on both the type of denaturant and also the concentration that is used to create the formulation. References: U.S. Food and Drug Administration, “Alcohol Free”, Cosmetics Info, “SD Alcohol 40”, J Occup Med Toxicol. 2008; 3: 26, The Naked Chemist, “Astringent products, their role on the skin”, 2015.